Lonicera morrowii.© Arthur Haines.New England Wild Flower Society.gobotany.newenglandwild.org. (Accessed 7/2014). 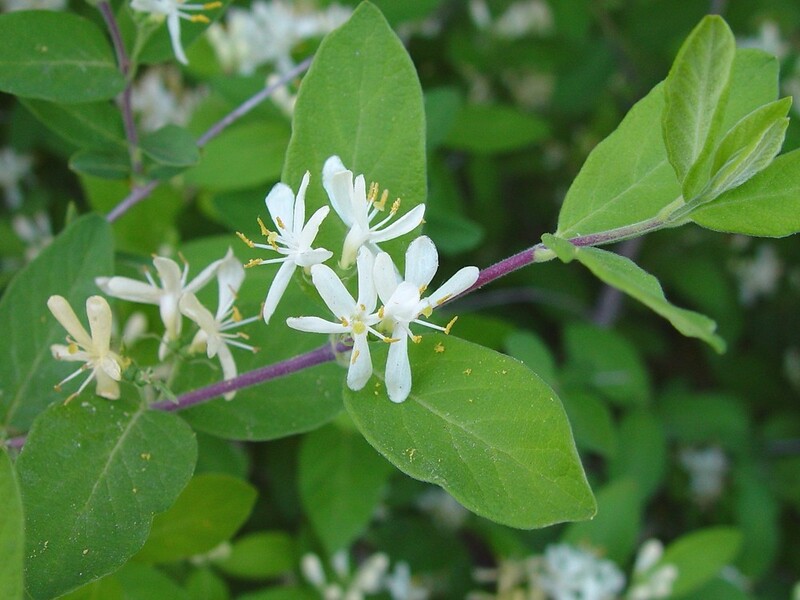 Lonicera morrowii is a shrub to 2 m tall and as wide, forming a tangled mound of branches, young twigs softly hairy, older stems hollow, buds gray, densely hairy. Leaves opposite, stalk 0.2-0.4 cm, densely hairy, blade 3- 5 cm long, elliptic to egg-shaped, tip barely pointed to rounded with a short abrupt point, base rounded, slightly hairy above, softly hairy below, dull gray-green. Flowers cream-white, becoming yellow, irregular, tubular, 1.5 cm long, hairy outside, in pairs, flowers stalks much longer than leaf stalks 0.5-1.5 cm (Rehder 1986); blooms May. 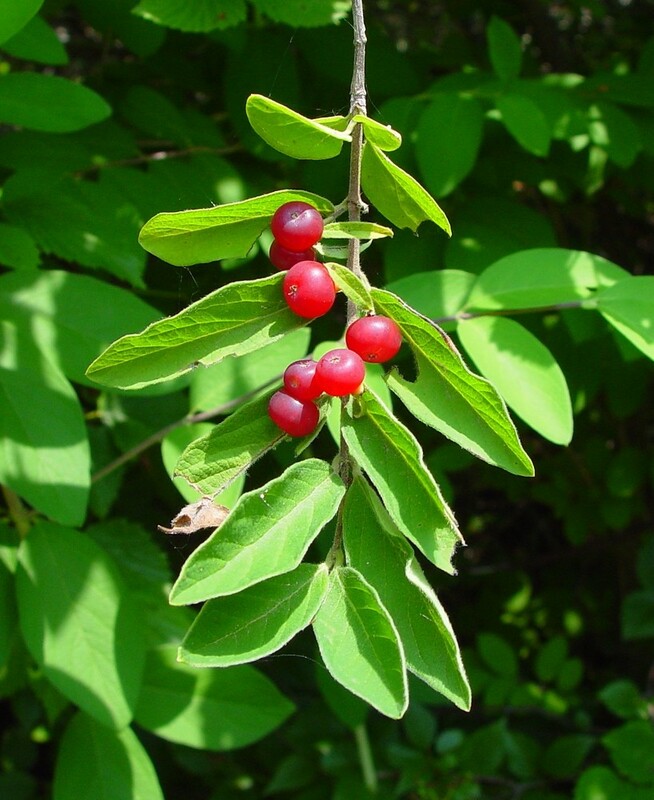 Lonicera morrowii.fruit.© Arthur Haines.New England Wild Flower society.gobotany.newenglandwild.org (Accessed 7/2014). Fruit fleshy, bright red, translucent, 0.5 cm, stalk (peduncle) less than 1.5 cm long (Personal communication S. Glenn); ripens July-Aug.
Notes: Very similar to L. tatarica and L. maackii.